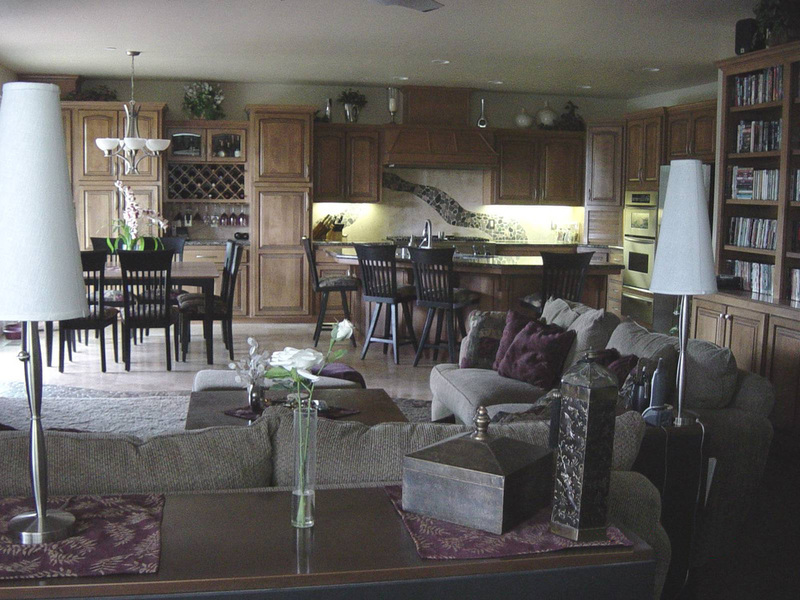 This home was created using a base of natural stone and sage carpeting. White was the compliment mixed with a variety of woods, copper, brushed stainless, antique gold, bronze and lots of different types of texture. A deep warm lavender was the complimentary color that added the feminine touch. 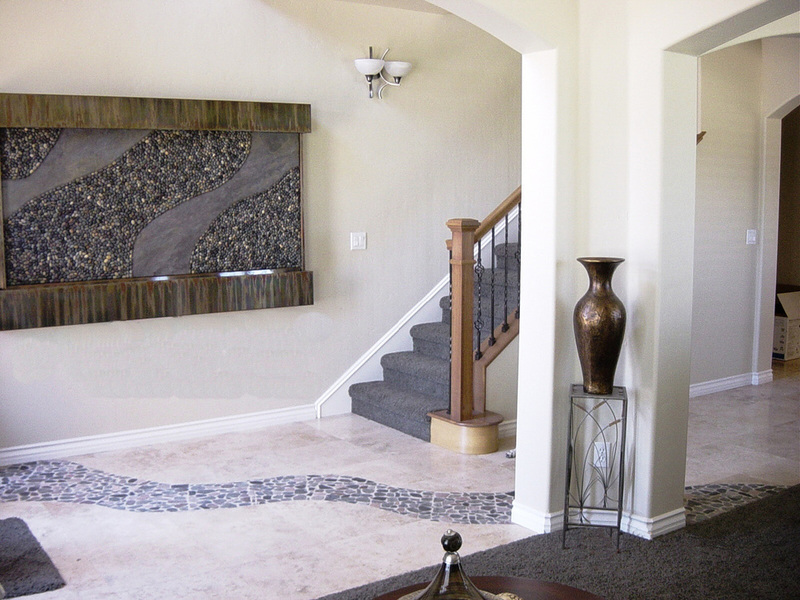 A natural stone river flowed from the front of the house all the way to the back fireplace.